The idea of taking a pill to change your mood is oftentimes shrouded in mystery or fear. Nonetheless, antidepressants are popular solutions for those diagnosed with mild to severe clinical depression, and are worth considering in tandem or in lieu of therapy approaches that can be expensive and time-consuming. 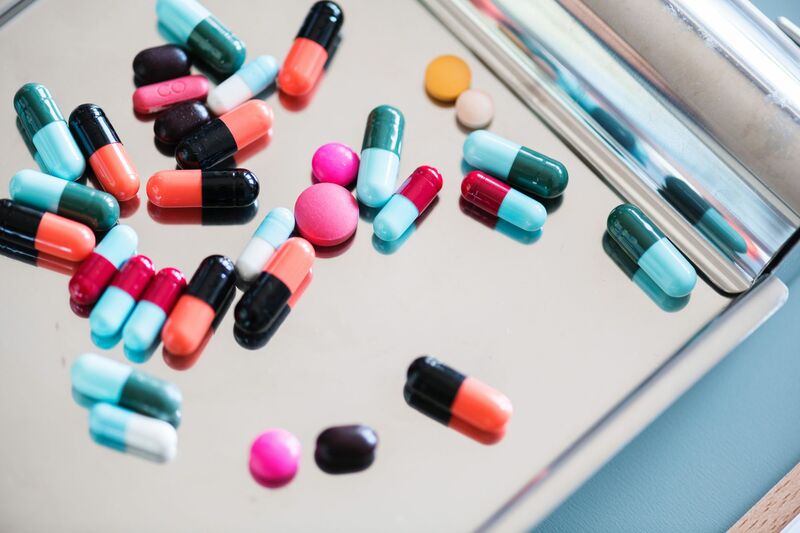 In this blog, I provide a personal account that aims to walk you through how antidepressants work, what they’ve done for me, and considerations you should keep in mind before deciding to take them. Think about it as a simple guide to antidepressants. What are antidepressants and how do they work? Similar to how we take Panadol to deal with the flu, we have the option of taking antidepressants to deal with clinical depression. These pills work by affecting the flow of chemicals in the brain called neurotransmitters, which are essentially ‘messages’ sent from one brain neuron to another. Certain neurotransmitters, namely serotonin, dopamine, and norepinephrine, have been strongly linked to a positive mood. Antidepressants tackle depression by influencing the levels of these neurotransmitters in the brain, and in turn, your day-to-day well-being. When I started on vortioxetine, a type of SSRI, I did feel a bit drowsy and occasionally had dizzy spells during the first week, but these effects were manageable and I was able to go about my day-to-day life as a college student. If you experience symptoms that you feel are unbearable, however, notify your psychiatrist immediately to see if another type of medication or treatment would be better suited for you. As with any kind of treatment for depression, there is no singular experience when it comes to SSRIs. For myself, I was initially skeptical of a biological approach to mental wellness, especially since my depression had a lot to do with issues in my personal life and didn’t seem to be tied down to brain chemistry alone. How was a pill supposed to erase these contextual issues from my life? A common misconception is that anti-depressants serve as a straight-up “cure”—in my case, they acted more as a source of relief that made me receptive to my cognitive behavioral therapy (CBT) sessions. Within the first month, I felt more energized and motivated, less susceptible to downward spirals of thinking and, in turn, more willing to work through personal and social problems with my counsellor. Think of it this way: anti-depressants can help put you at a ‘baseline’ mood that enables you to make the most out of concurrent therapy or counselling sessions. The IMH likewise recommends people to take a combined approach to treatment: “medication to gain relatively quick relief and psychotherapy to learn more effective ways to deal with life stresses.” After all, depression is a complex illness resulting from a combination of biological, social, and cognitive factors, so it makes sense to approach it from multiple angles. What if I’m uneasy about taking medication? Antidepressants along with other biological agents for mental illness aren’t known for having a good reputation. A common question that people with a long history of depression are prone to asking themselves is: “Who am I without my depression?” Unlike the common stomach ache, chronic mental illnesses can appear like they’re a part of us. At its worst, depression can greatly impact performance in the workplace and how we interact with loved ones, if at all. In some cases, such as in the work of renowned artists like Silvia Plath, depression serves as a source of creative inspiration. It’s understandable that the thought of taking a pill to erase your depression can sound as if you are taking away some core aspect of who you are. I had similar concerns prior to going on anti-depressants, and while my experience with depression has informed a lot of my creative writing, I did not feel any ‘less’ myself after taking medication to uplift my mood. In fact, gains that I achieved in focus and motivation enabled me to express myself and pursue my goals more consistently than without. Other personal accounts have seen similar results, in that antidepressants have actually helped people in their creative process. Nonetheless, different people have had different relationships with medication, and if you are someone uncomfortable with the idea of altering your mood from the inside, I don’t want to take that experience away from you. If you are on the fence about this, speak with a clinician and friends or family who have had first-hand experiences with medication for depression. What are other considerations I should keep in mind? In a lot of cases, depression is not a standalone illness. A study found that more than 50% of patients in the sample are diagnosed with both depression and some form of anxiety disorder. When talking to your psychiatrist about treatment options, make sure to talk about other diagnoses you might have and the medication that you might already be taking to address those. Oftentimes, antidepressants cannot be taken alongside substances like alcohol and other varieties of medication. Are antidepressants the perfect solution to clinical depression? No, not necessarily. But are they worth the shot? Yes—I believe so. Keep in mind that going on antidepressants is not a permanent decision. If they don’t work for you, you are always welcome to stop and try other alternatives. Remember that you have the flexibility to customize your treatment plan, and trained psychiatrists are out there to guide you through that process. If you are someone that suffers from clinical depression, you should find a doctor to come up with a personalized action plan. Here are some tips on how to find a doctor or therapist in Singapore. You can also speak to a doctor online on RingMD from wherever you are (just click the button below).